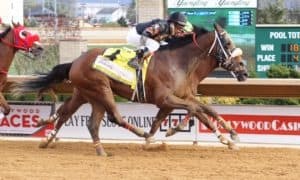 His Grade 1 Pennsylvania Derby win was a massive step towards winning this race. 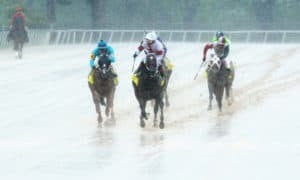 Returning from a long layoff, McKinzie seemed to have total control of the race right out of the gate and was able to cruise home to a 1 3/4-length victory. He earned a 107 Beyer speed figure for his victory, which ties Justify as the highest by a 3-year-old this year. 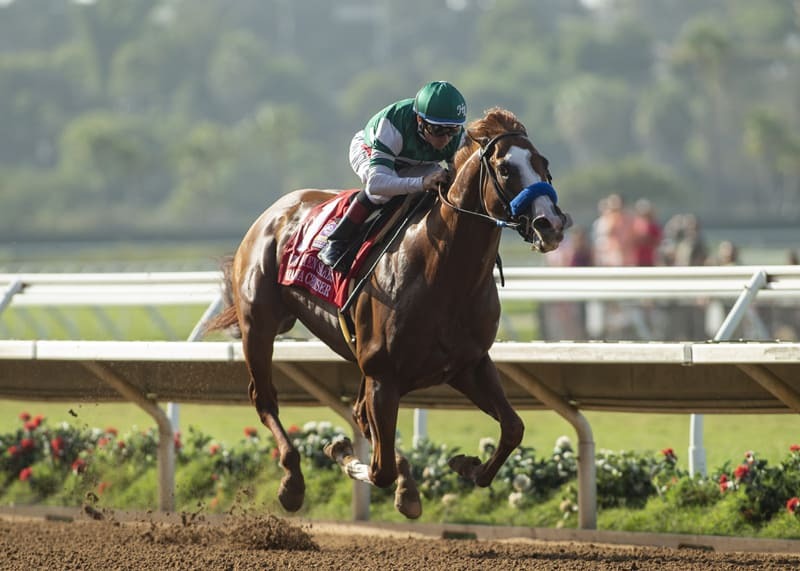 Last week, Accelerate won the Grade 1 Awesome Again Stakes at Santa Anita, but he only earned a 100 Beyer speed figure for his effort. 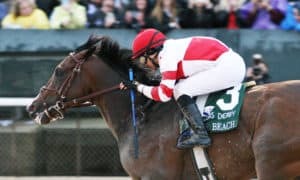 Discreet Lover won at Belmont with a 103, while the most impressive win came from Mind Your Biscuits, who earned a 108 for his win in the Lukas Classic at Churchill Downs. 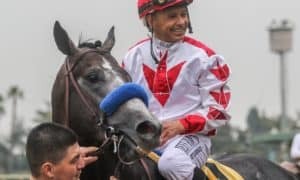 Still, with those results, my confidence in McKinzie has only grown. McKinzie was our pick in all eight prediction articles. This could be the best horse in the world, regardless of gender or surface. She is coming off of a second straight win in the prestigious Group 1 Arc de Triomphe, where she beat the boys yet again off of an 11-month layoff. 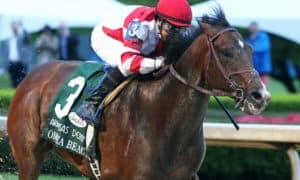 She could be the most likely winner of all of the Breeders’ Cup races now that she will officially ship to the United States. This race is really up in the air at the moment. There is no doubt that Abel Tasman has the most talent in this division, but she must bounce back from a poor effort in her last race, where she was a complete no-show while running with an illness. Trainer Bob Baffert was thrilled with her latest workout, though, proclaiming that she was back to her old self again. This division will have to be monitored closely as the race nears. Admittedly, I have no idea who to pick in this race at this time. 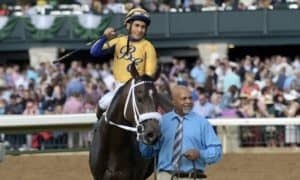 It seems to be the most wide-open division of the Breeders’ Cup while also being fairly unpredictable as far as who will enter the race. The European shippers will likely be hard to beat in this spot. As for now, I’ll go with A Raving Beauty, who had a nice bounce-back in the Grade 1 First Lady Stakes at Keeneland. Cutting back to a mile could be perfect for her. 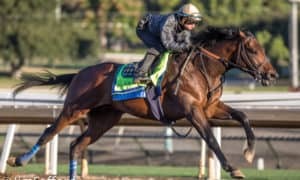 This horse is an absolute monster when he is at his best. However, this may be the deepest division of 2018, so he will have his work cut out for him. Last year, he was second in this race to Roy H, but he might turn the tables on that rival this year. Imperial Hint was perfect when conquering the Grade 1 Vosburgh Stakes at Belmont Park last time out. Imperial Hint has been our pick in all eight prediction articles. She is without a doubt the best female turf horse in this country. It will just be a matter of which Europeans ship in to take her on in this spot. They’ll have to bring someone strong because Sistercharlie is really sharp right now. She put in a solid workout last weekend, which shows she is ready to roll. Sistercharlie has been our pick in all eight prediction articles. There is very little doubt in my mind that this is the best horse in training and should be pointing for the Classic instead of this race. Trainer John Sadler’s record away from California is poor, but when it comes to this horse, I don’t care. He is a freakish talent that will be ultra-tough to beat no matter where he runs. 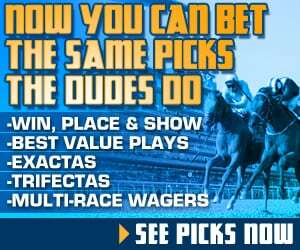 Catalina Cruiser has been our pick in all eight prediction articles. This horse has found his niche on the turf with two straight scores since switching surfaces. 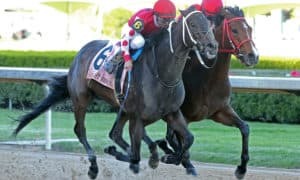 His first try on the surface was a strong win at Saratoga in the $100,000 Quick Call Stakes, and then he looked like a superstar when dominating his rivals in the $100,000 Allied Forces Stakes at Belmont Park. This division is lacking a star, but he could change that. Since moving to the Bob Baffert barn, this horse has turned into a monster. Her latest win at Saratoga in the Grade 1 Ballerina Stakes showed just how tough she’ll be in this race. She beat several of the top female sprinters in the country in that spot. No Instagrand? No problem! Trainer Bob Baffert has a good one on his hands after back-to-back Grade 1 victories. 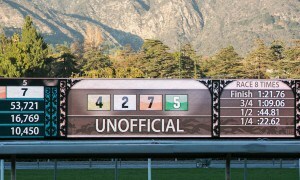 Game Winner passed his first two-turn test with ease, romping at Santa Anita in the Grade 1 American Pharoah Stakes. If he shows up with that type of effort, then he will be tough to beat at Churchill Downs in the Breeders’ Cup. Trainer Aidan O’Brien is usually tough to beat in this race. Over the years, European shippers in general have been difficult to defeat in this race, with last year being no different. This year, Broome looks to be O’Brien’s top hopeful after a close second last time out in a Group 1 race at Longchamp. 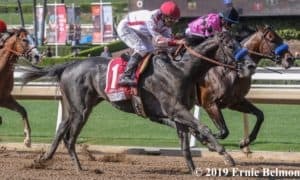 Bellafina has now won three straight, including scores in the Grade 2 Sorrento Stakes three races back, the Grade 1 Del Mar Debutante Stakes two races back, and now the Grade 1 Chandelier Stakes last time out. That sort of resume, while also running against tough foes at Del Mar and Santa Anita, makes it hard to pick against her. This is the Friday card single. Send your best, Europe – you are going to be hard-pressed to beat this beast if she shows up with the same type of effort that she showed in the Grade 2 Miss Grillo Stakes. This might be the most likely winner of the Breeders’ Cup. Newspaperofrecord has been our pick in all eight prediction articles. This race is going to be at total crapshoot. Uncle Benny was most impressive during the last round of preps, which makes him the pick as of now, but things could change rapidly in this division as we get closer to the event.